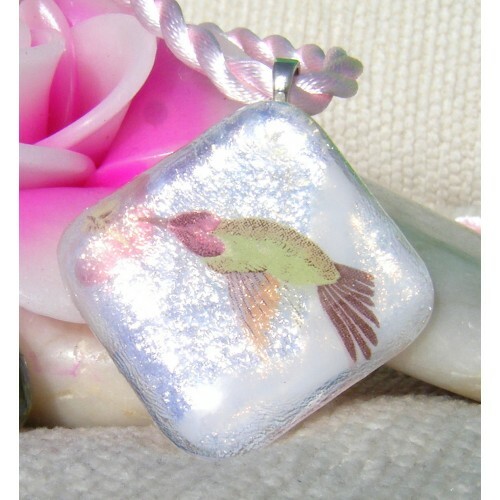 Humming Bird in flight on silver dichroic background and white wispy glass cap. Coloured decal is fused into the glass and will not rub off. 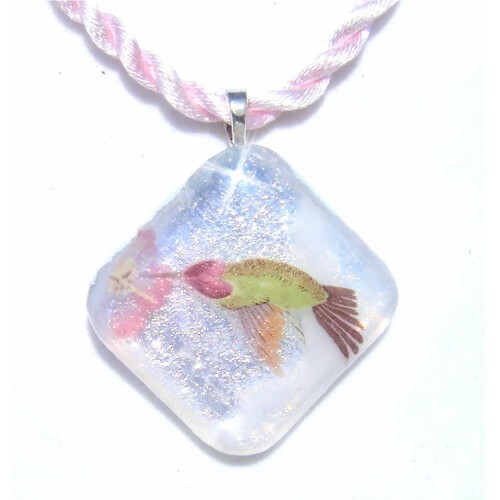 The wispy glass creates beautiful depth in the piece emphasising the flight of the Humming Bird.